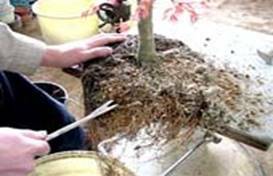 We will teach you how to pot repot your bonsai. Bonsai pots are available for purchase if needed. Care instructions will also be covered for your specific tree. This is an event for all skills levels. Please bring your tools if you have them. The lesson and the soil will be included in the cost. The cost depends on the new pot size ranging from $10-$25 per tree. Call 630-690-0404 or 630-386-1515 for Information & to reserve a spot today.